Positioned in areas where calls need to be shown and heard. Firstly and foremost, it provides a two-way Speech communication with the caller. A secondary feature allows an audio page facilty to all other displays and to other speech call point with staff members present. Following activation of a call point, the display provides a description of the call type, the location. Different tones identify the varying call types. An useful feature is the 'Find Staff' button, which allows the user to locate other staff member easily. Sound levels (Day and night) are adjustable individually and the menu offers multiple setup to the home, including zoning of areas. The L753 is an Audio call point, which gives the facilty of hands free speech. It incorporates 3 levels of call i.e. Standard Assistance and Emergency. Other features include an infra red receiver, reassurance LED and 'call follower' sounder. It will also accept a host of triggering devices including pear leads, air switches, pressure mats etc. 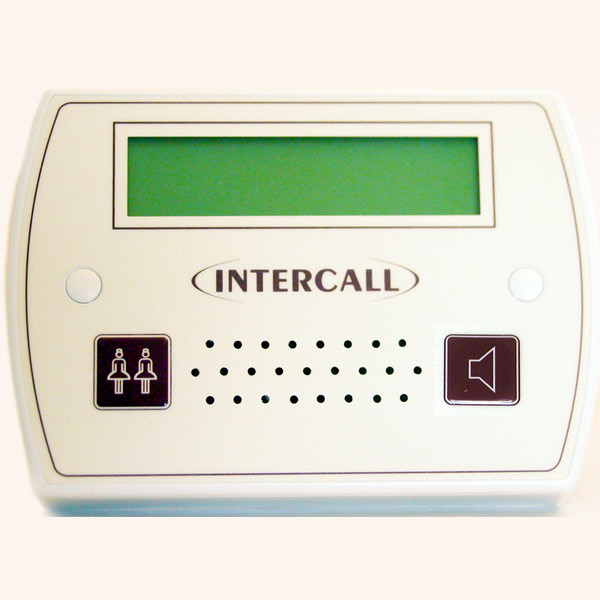 The unit may be flush or surface-mounted using the Intercall BB1 Backbox.